Every doctor’s worst nightmare has been discovered: a woman in the United States is carrying a superbug that is resistant to last resort antibiotics. The finding comes after medical experts have been warning people for years that overuse of antibiotics can eventually lead to drug-resistant bacteria. Health officials called it the “end of the road for antibiotics’’. The strain that the woman carries is resistant to Colistin, an antibiotic that is normally a last resort to cure nightmare bacteria such as CRE, which kills around 50% of infected patients. 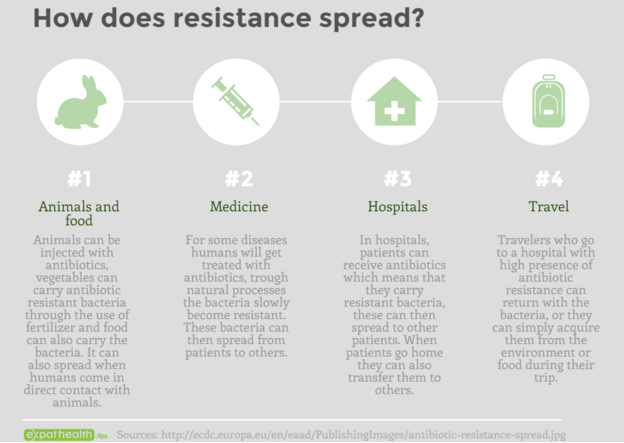 Although resistant to Colistin, the woman’s strain can still be treated by use of other antibiotics, but could spread and merge with other bacteria that are already resistant to other antibiotics. Earlier research showed that in the United States one in three antibiotic subscriptions (around 47 million per year) are unnecessary – the most worrying thing about that figure is that the US aren’t even the top subscribers. Most of the subscriptions are given for the flu, sore throats or bronchitis, all diseases that do not even react to antibiotics. The top subscribers of antibiotics are all European nations, while Chile offer the lowest amount of prescriptions: only give 9.4 prescriptions per 1000 citizens a day. How can we buck the trend? A research team in the United States did several studies on how to reduce unnecessary antibiotic subscriptions by doctors. They found out that “simple and inexpensive tactics, grounded in scientific insights about human behavior, can be extremely effective in addressing public health problems”. But how can you, as a patient or parent, deal with antibiotics? Know which diseases cannot be cured with antibiotics: they only work for fungi, certain parasites and bacterial infections – not for viruses like a sore throat, the flu or a cold. 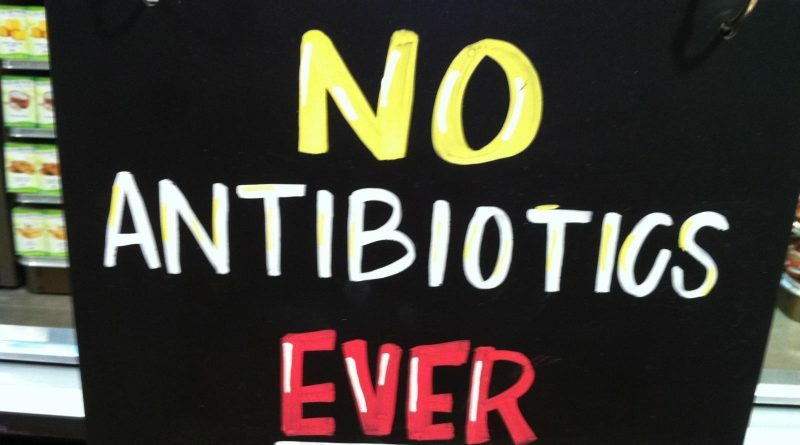 Do not pressure the doctor into subscribing antibiotics – when he says it’s not necessary it almost never is. Finish a complete prescription even if you feel better. The rest of the medicine can kill bacteria that might be left in your body which could otherwise become resistant to the antibiotics. When given a prescription in another language always ask for an explanation of the subscribed medicine in your native tongue. When you or your children become sick again, do not take any leftover antibiotic medication that is lying around. The medication may either not work this time or not be enough to kill all the bacteria, giving it a higher chance of becoming resistant to future antibiotics. Of course, prevention is always better than cure, but knowing what to do when you get sick is not a bad thing! Reading up on your current country’s health system is also a good idea. Eva is a Dutch tourism student currently living in Spain. Her multicultural background contributed to her interest in travel, culture and languages.